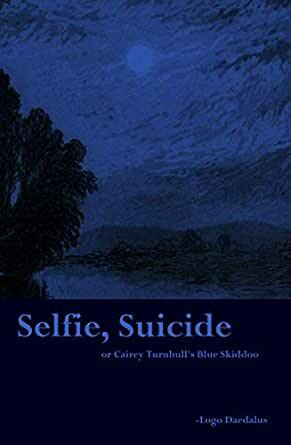 Selfie, Suicide: or Cairey Turnbull's Blue Skiddoo - Kindle edition by Logo Daedalus. Literature & Fiction Kindle eBooks @ Amazon.com. A disintegrating romantic anatomy in five acts. I bought this for my teenage son who likes Fortnite dancing and arguing on twitter. He loves it! Do you already know who the author is? It Doesn't matter - but - Logo is a member of weird twitter (Which is just to say un-classifiable). If you came here because you know him then you don't need to read any reviews, he's a smart guy with a genuine poetic bent who took the trouble to actually put pen to paper. If you follow/interact with him then you should just buy it and read it as a matter of course. For those of you who don't even use twitter - still buy this book. It's a genuine piece of contemporary literature worth your time. Its origin in weird twitter is incidental relative to its worth. The prose is strong, the plot is compelling, the characters are believable and the ideas and themes he plays with are worth the time it takes to think through them. It's likely that no publishing house would touch this (Or so Logo believes - I think his whole "DIY Yankee" thing is almost self-destructive, he should at least send out a copy or two, if only to hasten the relief of his outstanding loans). This means that you have to trust a self-published author who is writing outside the system. This is romantic, no? Intriguing? Mysterious? I don't know. The point is - trust me. Buy the book, support an actual young writer who is being honest and creating art. One day when people are fighting over the rights to his novels, you can say you bought his self-published first effort. I read this book on Kindle, as I believe it is meant to be read, as a product of the digital age - I genuinely have no idea how this would read in print. I was initially incredibly off-put by the description of an omelet roiling in the protagonist’s gut at the end of the first paragraph. It viscerally made me want to stop reading. But I am glad I did not, because for the most part, this book is great. It succeeds exactly at what it is trying to do - creating the Museum of Expressive Humanism, mocking modernity, etc. But therein lies the problem with the book, that the author (who is anonymous, adding to the masks on masks on masks of this whole situation) is the one who has created the MEH. In fact, he has created it in such detail, and created the vidya of the future (the exploits of Set72) in such detail, that I have a hard time believing that he even hates it. One cannot create what one truly despises. On some level, I think, he respects the circus. We are invited to relish in this Hieronymus Bosch portrait of the current age as we are also expected to condemn it. The mission statement of the MEH, art as a thing of the moment, living, with no past, is fundamentally alien to the trad mindset (which is a major part of the author’s Twitter persona, which I cannot separate from the work, even though I am no longer on Twitter). But the book reproduces, in stunning detail, the art of the MEH. It showcases, in great prose, the man-child playing Pokemon Yellow, a great baby, slave of the "eternal now". Is it ironic? How could it be? Could the author be creating something that he hates? In his novel, his opportunity to showcase vision, is he merely reproducing the clown world he detests so much? In this way, the book is a “self-own”. It recreates the world it seeks to mock. Given infinite potential, the world of "MEH" is still the center of artistic vision. To what end? Again, I must reiterate – the book, despite moments of extremely purplish prose and off-putting thesaurus reach, is actually damn good in a lot of places. The depiction of Cairey’s mindset, his memories fusing with his current experiences, especially one scene in which a video game character in a speedrun glitching through a floor is juxtaposed with entering personal hell during a stoned mushroom trip – this is damn good stuff! Insights into the nature of art were also fantastic, including a stand-out line comparing the artist of today to Buddhists drawing and erasing their mandalas in sand. The author can write, that’s for sure. He needs an editor who can tone down the purple in certain places (especially toward the beginning) but to say the prose is not sublime in a lot of cases would be an utter lie. But isn’t it, ultimately, a picture of hell? The self refracted upon itself into madness? Selfie Suicide, I suppose. Hell is yourself, reflected upon your own eyes, forever, nothing else, no outside, no God, no “Other”. Just the self relating to itself. Lacan’s mirror-stage forever. That is hell. And this novel, in many ways, is a portrait of hell. And it begs the question – why can our novelists only portray hell? Why is even the trad/reactionary vision still reproducing hell? We cannot see beyond the world. Even those who reject the world just keep reproducing it. In this way, the ambitious reactionary artist is just like the democratic socialist he so despises. Eternally describing what is, never really getting to an “ought”. All “oughts” are a joke. Nobody cares, Cairey. A lot of the other reviews are short and aren’t really engaging with the book. 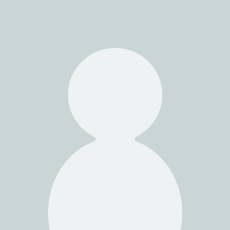 The author’s Twitter persona, his own Symon, is a long shadow cast over it. This is an author with genuine visions and a creativity hard to match. But the visions are still of the panopticon. How can we condemn what we so lovingly recreate? Aren’t we the clowns? Isn’t the joke on us? The MEH isn’t real yet, but only someone who loves its content at some level could invent it. Then chapter three struck, and it was fantastic. That is, until a few too many things started to collide together, and I was taken out of the narrative. The transformation of Cairey’s grand diorama into a mass-produced piece of the Here and Now set really worked for me. It was a great moment. It was tied in so well to the whole structure of the story. The sudden collision with Symon, then, did not. It felt like far too much to believe, to stay immersed. The magic dried up. I was whisked out of the story. Is this merely the fact that Symon adds one too many layers of meta onto the story? I think so. But this portion of chapter three somewhat tempered my building rapture with the story of Tinfasel, the dragon, and the hopeless artist. Chapter three, though brilliant in most of its execution, might have gotten overly full. Maybe it’s just me. But I can’t deny the experience changed in nature when Symon was pulled back into it right on top of an already-ongoing catharsis, and in a way that stalled my experience. It seemed to pull in the wrong direction at the wrong time, damming a river. It seems to me that the character of Symon, in a sense, destroyed the conclusion of the book for me. Symon is the Demiurge, well-understood, but he also appears to be the Twitter Persona of the very author. He is the puppeteer, the master pulling our strings, he is the false God of the false world – but he fails to provide meaning to the striving person. I find the ending of the novel to be painful. Incredibly painful. The first-person perspective of Ophelia, of course, did not work, nor did her conclusion – when Cairey says “I don’t know you & I’m leaving”, effectively discarding her, I really loathed the book. I understood Cairey to be essentially the protagonist of an early failed hero’s journey, the young androgyne gored by a boar, sacrificed to the Great Mother, fundamentally a hater of women incapable of relating to women, incapable of connecting to another. I do not know if this is the author’s fault or Cairey’s. But Ophelia deserved either more of a conclusion or not to be involved so much at all by the final half. It was not good. The ending, I think, reminds me a bit of a failed Steppenwolf. Like Stenppenwolf, it merges into the realm of the sublime and the fully magical, but unlike Steppenwolf, I feel it did not earn it. The MEH transitions from an actual place, a mockery of modernity, into whatever the author wants it to be. The first three chapters, frankly, do amount to something of a great exercise (except the very first few pages). But in Symon and the last two chapters, I felt the Demiurge itself corrupt something of the story that was being developed. Again, the story of the postmodern artist, the story of Lucremorn, the Gnosticism and the description of the MEH show greatness. I review this novel to indicate where I felt it faltered, and where it succeeded, because the author is quite clearly a person capable of running on his particular fuel forever, and I think this age is starved so deeply of people like him. We need more like him – a person capable of speaking from himself, from his influences, without adhering to the banal narratives allowed today. That is for certain. The author has given me so much to think about, but also has created a kind of ego that seems to me anti-Christian. These tensions, of course, permeate the entire reactionary movement. Ubermensch and Saint are conflated. I hope the author, whoever he may be (identity still withheld) continues to write and build. I admit envy of his ability to speak his mind so constantly, so without pause, it is a very very rare thing. But I also note the McLuhanite influence, and I do wonder – will the Twitter identity consume the print identity? I do not know. All I can say, as a fellow writer, is that I truly hope print prevails. The coherent self, the identity produced through 400 years of print, cannot be devoured by the meta-meta-meta-identities of Twitter. That would be a horrifying loss. I fear that the character of Symon, at some level, has reflected the meta-meta-meta consumption of all identities. And that character does not match well with print. Again, maybe I'm wrong. It's just one reading. But my reactions were visceral. Godspeed! A delightful journey to the end of the museum, through life and death and everything else that one must do. 5.0 out of 5 starsA summary of experience of the millennial lost boy. A treasure chest of linguistic innovation and a future marker in history. & four gens from now what book will be referred to when they ask "How did millennial man feel? what did he experience... in detail?" The word smith here from twitter will tell you. 5.0 out of 5 starsLess than a case of beer! If you tend to read older fiction because you find our current paradigm cripples the creation of literature at the hip, read this and be proved wrong. Whimsical modern litfic with a soul.